Once a year, Earth passes through a section of Swift–Tuttle's cometary tail—a cloud of particles ejected from the comet, most of which have been in this formation for a thousand years. As these tiny particles enter Earth's atmosphere at extremely fast speeds, they burn up, resulting in the wonderful show that is a meteor shower. Every year from the middle of July to late August, observers are treated to the spectacle of glowing cosmic debris, streaming across the night's skies. This year the shower will peak from the evening of Sunday 12 August to the early hours of Monday 13 August. The Moon will be a new crescent moon, fortunately setting before the show really gets underway and so leaving the skies dark for what is set to be the best shower of 2018. Discovered in 1862, the 'near-Earth comet' Swift–Tuttle has a nucleus 26 km in diameter—that's two-and-a-half times the size of the asteroid that wiped out the dinosaurs, and it is travelling four times as fast. 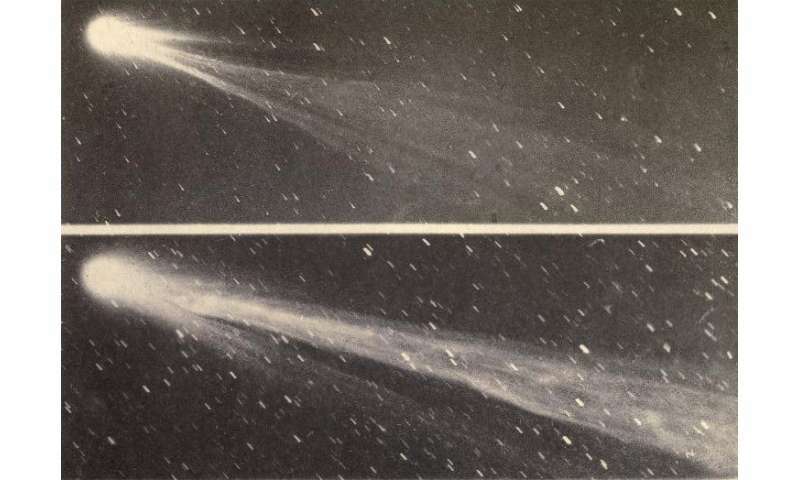 As the largest Solar System object (bar the Moon) to repeatedly pass close to Earth, comet Swift-Tuttle's movements have been meticulously studied by scientists around the globe. It's most recent 'perihelion'—the point in its orbit in which it comes closest to the Sun—was in 1992, and the next won't be until 12 July 2126. Fortunately all of comet Swift–Tuttle's orbits for the next 2000 years have been intricately calculated, when Earth is 100% safe – passing for example 22.9 million km from Earth in 2126 and 22 million km in 2261. A close encounter is expected around 15 September 4479, when Swift-Tuttle is expected to pass within 1.6 million km of Earth—more than 90 times closer than the Sun, or, only about four times the distance of the Moon. So, for the foreseeable future we will continue to enjoy the beautiful show put on every year by the remnants of this Sun-grazer's historic journeys to the centre of our Solar System. These stunning events also serve as a reminder that our planet has been visited before by huge cosmic space-rocks, and has the potential to be once again.